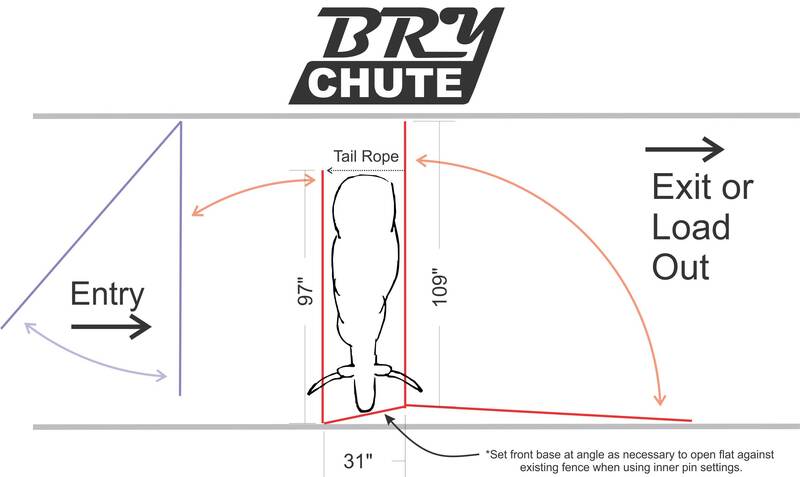 Congratulations, you have purchased a new Bry Longhorn Chute. 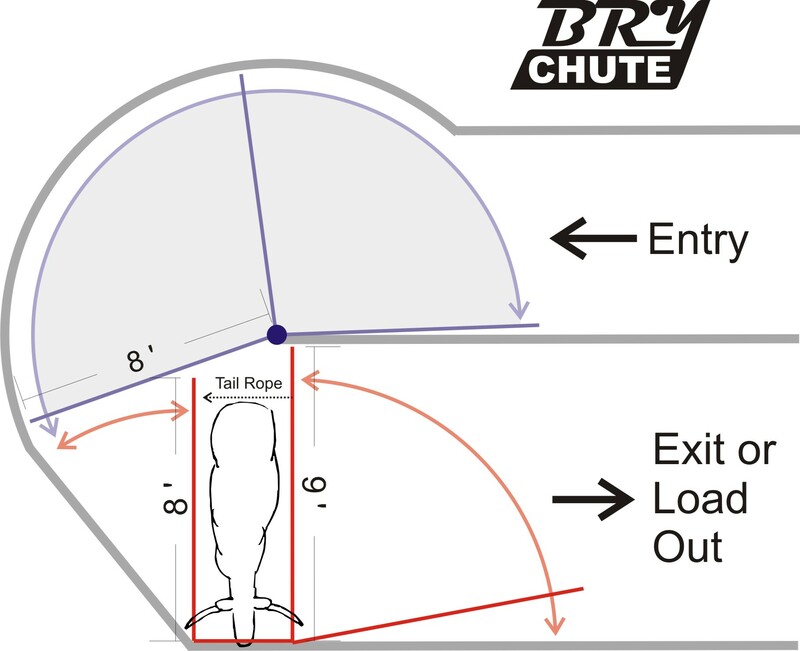 Here is information to assist with installation and successful uses as a livestock confinement tool. 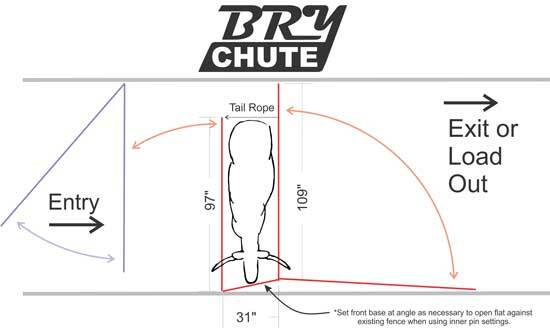 It is recommended to have BRY chute assembled before joining facilities are constructed to assure correct placement and use. 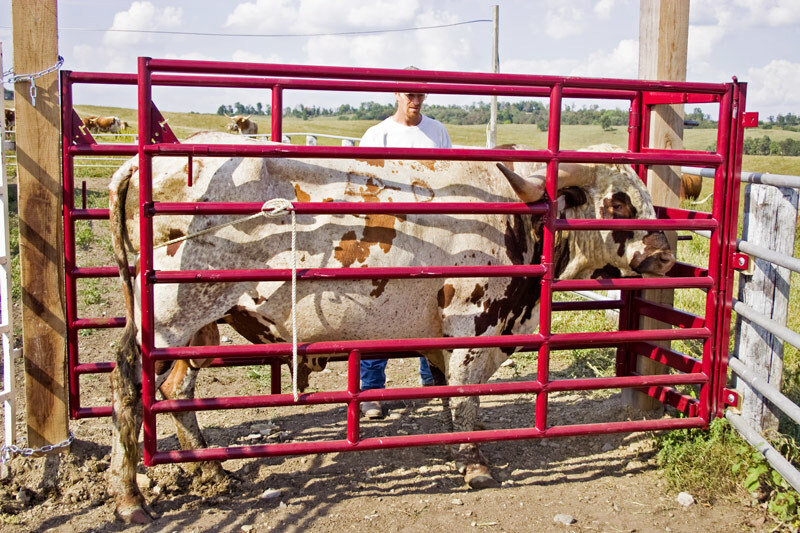 Attach the Front Base to existing sturdy corral posts 8" to 11" above the ground. 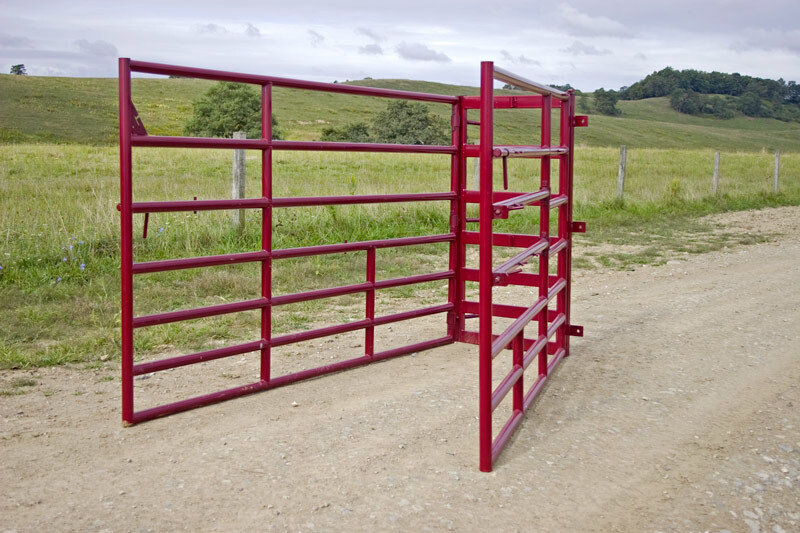 Attach to existing sturdy corral posts (bolts included) through 6 Front Base holes. 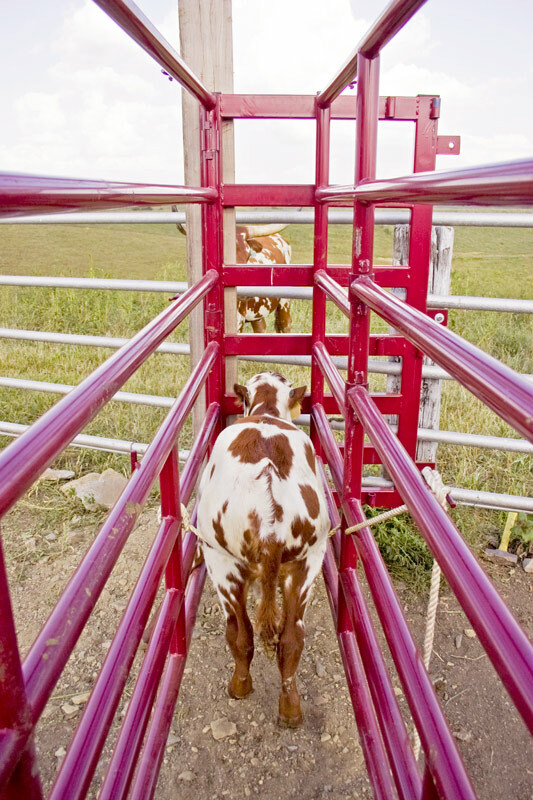 An entry alley to funnel cattle single file into the chute should include gates to prevent cattle from backing up. At this point the Back Wall Gate and Front Squeeze Gate will swing back against an existing fence, when not in use, and requires reduced corral space. 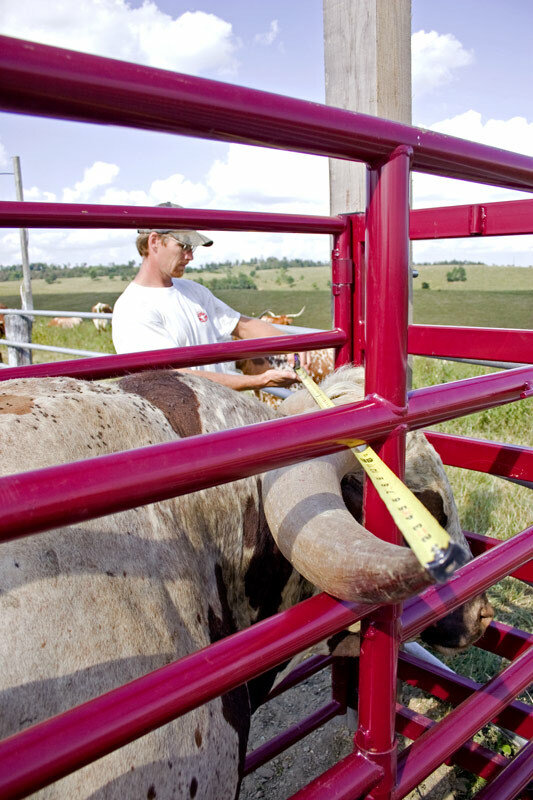 The hand braided nylon ropes may be placed in a half dozen places to fit different cattle sizes. 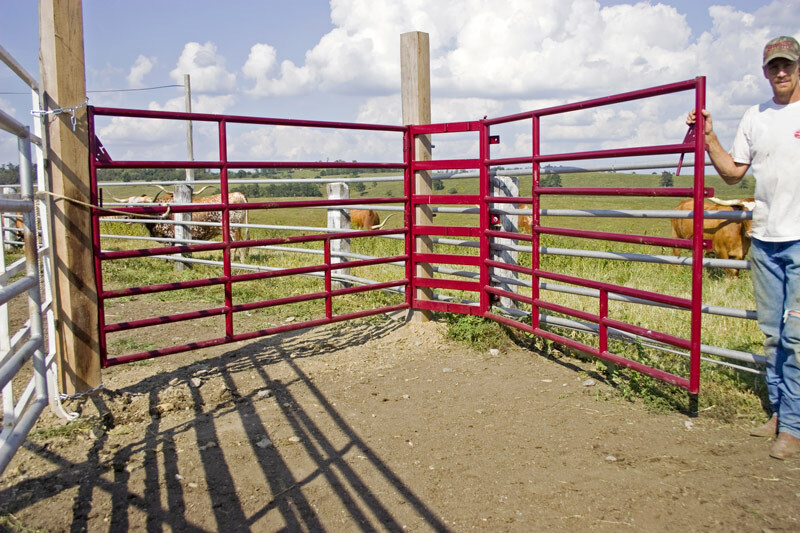 Branding can be done by removing the horizontal spring loaded Front Gate Squeeze pipes. Chains provided for special closures. Always attach chains around the latch from the back side. 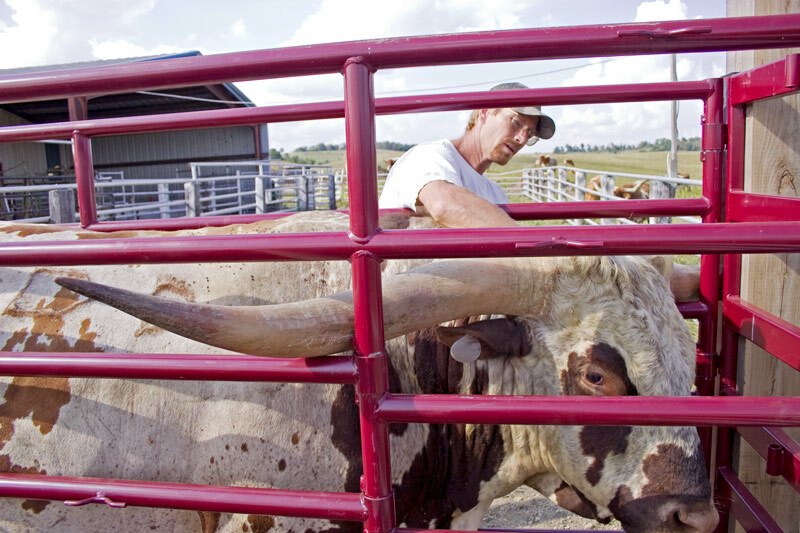 Release cattle from either side when confinement needs are completed.